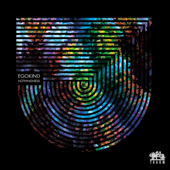 After having recorded the well received "Diamond Days" in February 2014, the Berlin producer Egokind instantly attracted listeners and clubbers worldwide for his skillfully composed electronic music, bringing different styles together, ranging from wrapped in cotton wool electronica to electronic techno music with soul. Egokind, who also plays in an indie band, seeks for unconventional recording solutions when it comes to formulating a language of his own. This has also made it into this new EP, creating another unique piece of music. The title track "Nothingness" according to Egokind has been one of the highlights in his recent live sets and so we were excited to have it released on Traum. The track has the unorthodox Egokind arrangement which starts with a massive kick drum that just vaporizes as if by a magic spell and is replaced by a two melodic sequences which are the heart of the track. Embracing themselves, wrestling with each other and in the course of the track… slowing creating also a mild and soothing quality which takes you gently by the hand! But that is just summing up what roughly happens, so you better judge for yourself. The evolution of the track "Nothingness" for us is no doubt another recording masterpiece of Egokind that fits nicely to the latest Traum releases. He recorded "Fatigue" with his pal Ozean, which shows a much more withdrawn quality you come across when listening to indie music. "Fatigue" glides and wanders through different stages with ease, sometimes stops and pauses inhales and slowly builds up the groove again as if still distracted or wounded by something. In this respect this track is a very modern take on electronic music, expressing the inner self rather emotionally instead of committing too any classic structures and by that creating a language of its own. The third track "One Love" is a live affair of fractured and cut up sounds, joyous and dispersed in its structure. 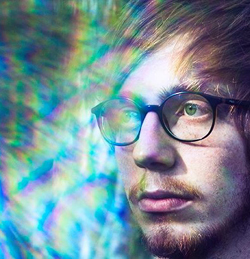 Abstract beats that tumble, melodies that crumble it all makes sense in the end and connects if you will smoothly to our english artist Rob Clouth with his "Cloud Complex" EP. We are looking forward to Egokind’s album on Traum in October 2014.